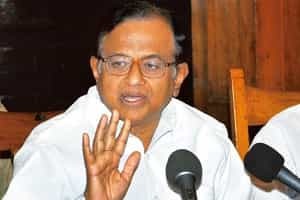 Gadchiroli (Maharashtra)/Hindon (Uttar Pradesh: Maoist rebels ambushed a police patrol in Maharashtra on Thursday and killed 17 policemen, a day after home minister P. Chidambaram warned them to give up violence or face a major assault by security forces. The attack came two days after the Maoists beheaded a police officer in Ranchi district of Jharkhand. The Gadchiroli attack took place a few hours before the cabinet committee on security chaired by Prime Minister Manmohan Singh discussed in New Delhi the growing Naxalite threat in various parts of India and the measures required to counter it. A contingent of nearly 40 policemen was conducting search operations in Gadchiroli district following intelligence inputs that Naxalites had assembled in the area. They were attacked when they were returning, district collector Atul Patne told PTI over phone. Sub-inspector C.S. Deshmukh and 16 constables were killed in the gun fight, Patne said. The Union government late on Thursday said it has rushed additional paramilitary forces to Gadchiroli to assist the state security forces. The Naxalites also set ablaze a village council office in Gadchiroli district in the wee hours of Thursday, the police said. They torched the office at Ramgarh under Purada police station and fled from the scene. Separately, the Indian Air Force said on Thursday that said it will deploy commando units to defend its helicopters and men on board in Naxalite-infested areas. Air chief marshal P.V. Naik told reporters at the Hindon air base in Uttar Pradesh that its Garud special forces would be present in the helicopters flying in Maoist-hit areas for rescue operations and would defend their personnel and equipment.